The Human Security and Natural Disasters project being undertaken by the UNU Institute for Sustainability and Peace (UNU-ISP) has been highlighting the need to further strengthen the concept of human security in the context of natural disasters. This is particularly important when it comes to mega-disasters such as the 2011 Tohoku earthquake and tsunami. “Human security”, an approach that first emerged in the 1990s, rejects the traditional prioritization on the State and instead identifies people as the primary focus for understanding security. This approach highlights that the most pressing threats to people do not come from interstate war, but from the emergencies that affect people every day, such as famine, disease, displacement, civil conflict and environmental degradation. Human security is about people living their lives with dignity, being free from “fear” and “want”. Japan has been a leading proponent of human security internationally, and has actively sought to incorporate the doctrine into its foreign policy. Natural disasters were identified as a threat to human security in the 1994 UNDP report, and in 2003 the Commission on Human Security observed that, “three kinds of crises — economic, natural disasters, and conflict — inflict the greatest shocks on society and people’s human security”. 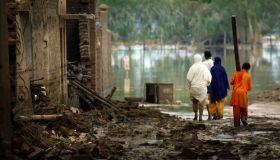 Despite these landmark reports explicitly identifying the significance of natural disasters for the human security agenda, it has not been pursued in much detail. 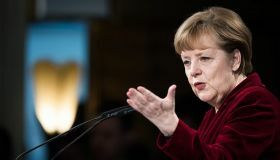 Instead there has been a strong tendency to focus on civil conflict and other issues that are obviously human-made. For instance, in their influential study Human Security and the UN: A Critical History, MacFarlane and Khong suggest that “central to our notion of human (in)security is the existence, out there, of some entity or set of individuals who are organizing to do us in. That is why, despite the massive casualties and horrendous destruction wrought by the tsunami waves of December 2004, tidal waves are not usefully construed as a human security problem”. Such a position is overly limited in both its understanding of what constitutes a human security threat and what kind of agency matters, however. An earthquake or a tsunami may not be a case of someone “organizing to do us in”, but human choices do play a central role in turning natural hazards into disasters. Natural disasters are clear examples of “sudden and hurtful disruptions in the patterns of daily life”, which is how the UNDP report describes situations in which the human security approach is relevant. Consider the figures from some of the most significant recent natural disasters: the 2004 Indian Ocean tsunami resulted in some 226,400 deaths, Cyclone Nargis in Myanmar in 2008 caused more than 138,360 deaths, and there were more than 316,000 fatalities in the 2010 Haiti earthquake. If we widen the scope to displaced persons — a useful measure for identifying cases of human insecurity — the numbers are staggering: the 2008 Sichuan earthquake displaced over 15 million people, while 11 million people were displaced during the 2010 Pakistan floods, and in 2010 over 42 million people in total were displaced by natural disasters. In Japan, the 2011 Tohoku earthquake and tsunami resulted in more than 15,800 deaths and more than 340,000 people were displaced. When the lives of so many people are directly impacted, it would seem very strange if it was not considered a human security issue. In response to Japan’s “triple disasters” (earthquake. tsunami and nuclear accident), UNU-ISP has sought to extend its existing research on human security to incorporate a focus on natural disasters. Reflecting UNU-ISP’s global perspective, the Human Security and Natural Disasters project has been examining the 2011 Great East Japan Earthquake and tsunami in comparative context, also considering other recent “mega-disasters” such as the 2004 Indian Ocean tsunami, the 2008 Sichuan earthquake and the 2010 Haiti earthquake. To illustrate in more detail how natural disasters are an issue that directly relate to the core concerns of the human security framework, it is useful to consider the main elements of human security, as outlined in the 1994 UNDP report, in reference to natural disasters. Examples from the case of the 11 March 2011 earthquake and tsunami in Japan are particularly instructive. The 1994 UNDP report identified four key characteristics of human security. Human security is a universal concern. Underpinning Japan’s understanding of human security, however, has been a misplaced assumption that it is something meant for other, less developed nations. While human security has been part of Japan’s overseas development assistance, it was never incorporated into domestic policy. Yet last year’s earthquake and tsunami demonstrated with terrible force that human security issues also exist at home. The different elements of human security are interdependent. This is particularly relevant for natural disasters, in which myriad problems appear and interrelate. For instance, food, health and personal safety are just some of the obvious issues that arise in the context of the evacuation centres after the disaster. This issue is considered further below. Human security is easier to ensure through prevention early, rather than intervention later. The Tohoku region was well prepared for earthquakes and tsunamis, but unfortunately the same cannot be said for the Fukushima Daiichi nuclear plant. A major cause of the nuclear accident was the gravely insufficient preparations of TEPCO (the Tokyo Electric Power Company), the government and the nuclear industry for the possibility of a natural disaster occurring. Human security is people-centred. This may seem like a rather obvious point — that we should be concerned most about the safety of people — but too often it is lost. Following the disaster TEPCO has been much more concerned with protecting its own interests than with the people that have been affected. 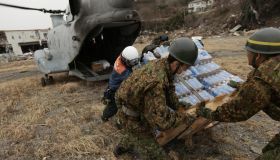 Likewise, in the months after the disaster many politicians were more worried about forcing out former Prime Minister Naoto Kan than about far more significant issues to do with responding and rebuilding in the affected areas. So human security’s move of simply stating that our focus should be on people is significant. The UNDP report also identifies seven main categories of human security threats, with natural disasters being placed under “environmental security”. Reflecting on the interconnected nature of human security, it is worthwhile considering how each of the other components is relevant to natural disasters. Economic security: When natural disasters strike, people are not impacted equally. Poorer, more vulnerable parts of the population suffer disproportionately. In the Tohoku region, people who were employed by major companies or the government have generally been able to continue to work, whereas those who were self-employed or working on daily rates have found it much more difficult to find new employment. And when people lose their source of income, it leaves them more vulnerable to any future shocks, be it another natural disaster or other event such as an economic downturn. Food security: Obviously in the immediate recovery period a major problem is getting supplies to those affected, but also the right kind: nutritious food and clean water. Immediately following the tsunami, there were delays getting food to the affected areas, as planning had been designed around a major earthquake occurring — like what happened in Kobe — and not an earthquake followed by a tsunami. 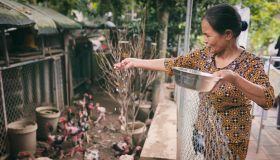 People in shelters were given mainly rice balls and bread, which are not very nutritious, and relying too much on these as a food source actually leads to health problems. 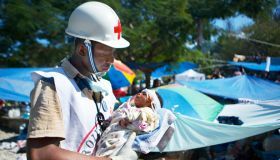 Health security: Following a disaster there are pressing concerns with trauma injuries and threats of disease. A lesser known problem, but one that is very important, has to do with handling pre-existing medical conditions. For example, there needs to be a supply of medicine for people who take regular medication. After the immediate period of dealing with trauma patients, managing people with pre-existing medical conditions is a pressing concern. This also means that response teams should be composed not only of surgeons, but also general practitioners to deal with all the other health issues that continue, or arise, following a disaster. Personal security: People can lose everything in natural disasters — their family members and friends, their houses, their possessions, their whole livelihoods. Following the disasters in Tohoku, there was a very quick decrease in the amount of evacuation centres, as people were placed in temporary housing or found alternate accommodation. A year later, however, the government has been much slower in rebuilding permanent housing, and people’s lives are still in limbo. Another major problem is that many people in Japan, especially the elderly, still keep large amounts of money at home, much of which was washed away during the tsunami, which meant many people lost their savings and are now destitute. Community security: We do not live in isolation — our lives are given meaning by our ties to family, friends and the communities in which we live. These relationships can be destroyed, broken or severely tested following a natural disaster. 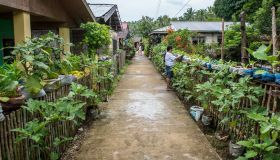 After the tsunami, members of small villages were not always placed in the same shelters or temporary housing, which took away vital support networks for people. To take another example, following the 1995 Great Hanshin earthquake, family structures and living arrangements were significantly impacted. This has happened again after last year’s disasters. Many families have been separated as a result of the nuclear accident. A common situation is the husband remaining in Fukushima to work, while the wife and children move to another part of Japan where there are no radiation fears. Political security: Even after major disasters it is vital that people’s basic human rights continue to be respected and protected. It is also important that those in power continue to govern in a transparent, accountable manner. This is not what happened in Japan, however. As the accident at the Fukushima Daiichi nuclear plant unfolded, the government and TEPCO failed to behave in an open manner and provide honest, accurate information about what was happening, and what might happen. These are just some of the different ways that human security issues arise in the context of natural disasters. Japan has been a major proponent and supporter of the human security approach, and after 11 March 2011 it has now come to understand how these issues also appear at home. What the earthquake and tsunami illustrated was how such disasters can instantly plunge hundreds of thousands of people into situations of insecurity, and in the context of existing vulnerability, can further undermine their position. Natural disasters have been becoming more regular, deadly and destructive, and now represent one of the most serious threats to human welfare. A central component of the human security approach is focusing on prevention, and this will be absolutely vital in protecting ourselves against future disasters.